As busy Moms, we find ourselves often scrambling around trying to whip dinner together. 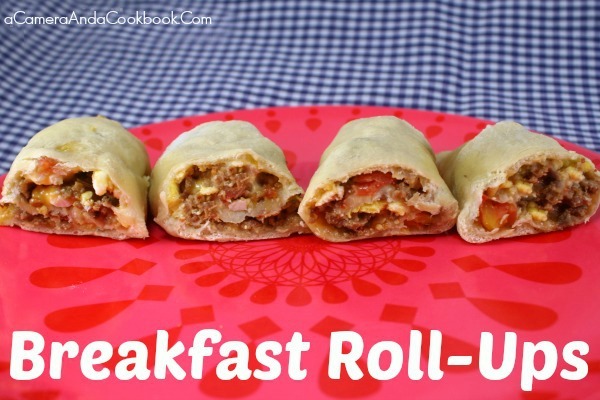 These roll-up recipes are such an easy answer to hectic evenings. 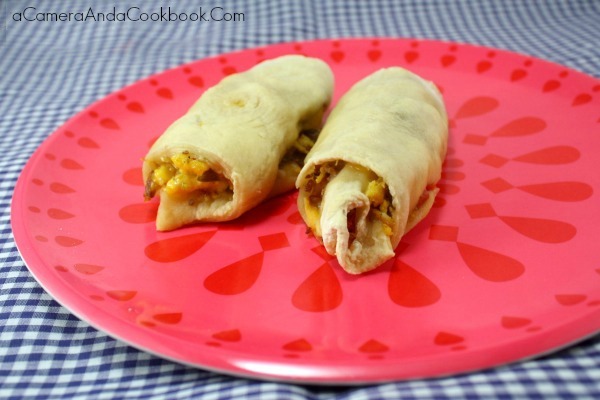 Every Sunday, I throw the ingredients for pizza dough in the oven, so throughout the week I have it ready for homemade pizza or these easy roll-ups. If you don’t have a bread maker just get some refrigerated dough, which is just as good and easy. I like these because they can be made for breakfast ahead of time. And for those of us who like dinner for breakfast, this is a great option! 3. Scramble eggs and brown meat in 2 separate skillets. 4. Once eggs are scrambled and meat is browned all the way through drain grease from meat and combine into one skillet. Put in Velveeta cheese and melt. 5. Spoon several spoons full of egg mixture onto dough. Press down a bit to make it easier to roll. Sprinkle with shredded cheese. 6. Roll each roll-up and place them seam-side down. 7. Bake 15 min. or until golden brown. My fiance will love these! A Saturday morning breakfast for sure! Looks delish and I am starving right now. Definitely pinning these!